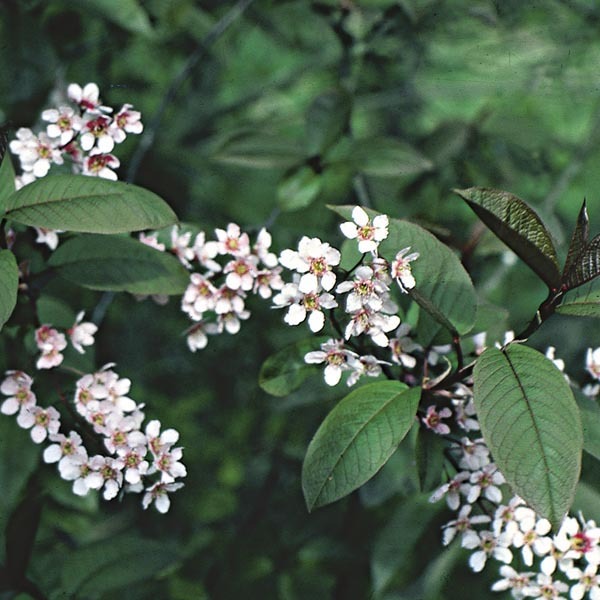 Also known as Birdcherry, the padus species is one of the first trees to leaf-out in spring. These early leaves are followed by pendant clusters of tiny but fragrant white blooms. Named varieties offer some variation from green leaves and white blooms, as well as different overall tree form. A classic favorite for landscape focal points. Provides instant shade and structure to the landscape. Makes a breathtaking specimen plant. Best used for large scale plantings.